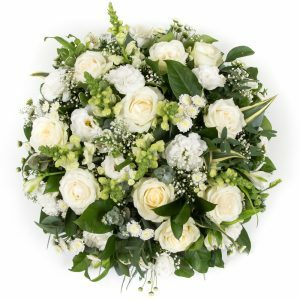 Four working days are required to create this tribute. 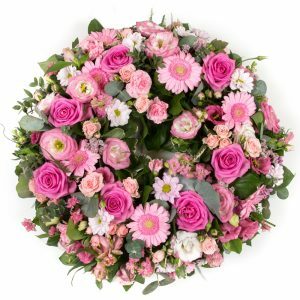 Standard price is for a 3ft (92cm) tribute. 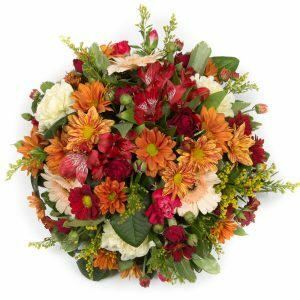 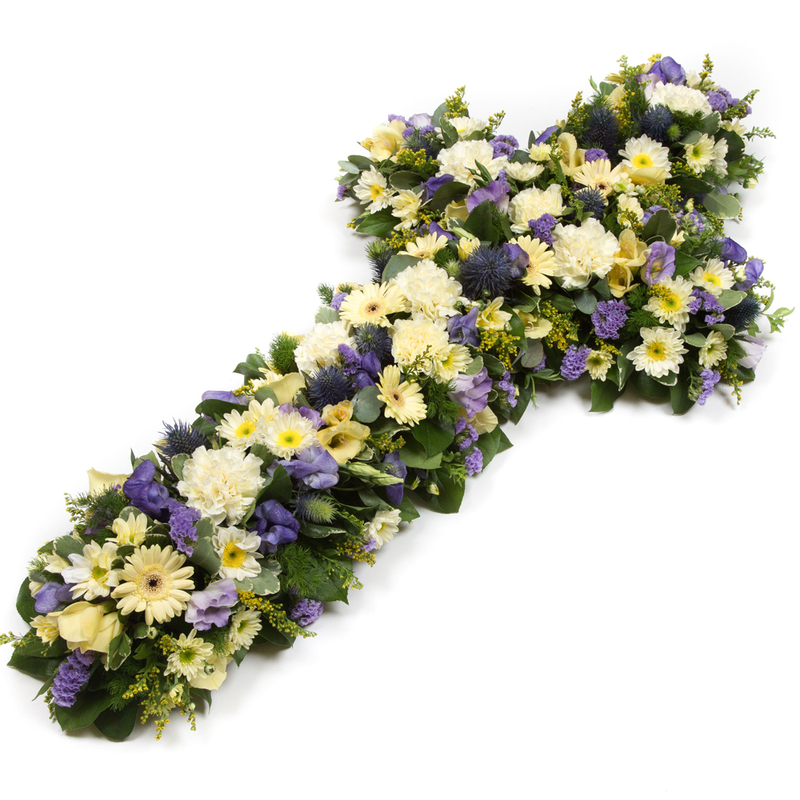 A loose cross of mixed flowers and foliage available as pictured or in a range of colours. 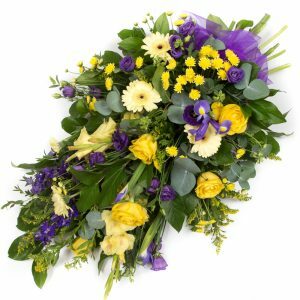 As with all tributes please contact us if you require a different colour choice to the ones given.